Today’s post is a summary of a few of the things which I’ve decided to use in my photography, and perhaps this post will give ideas to others like me. Camera – In the past I used a Nikon Coolpix S203. It’s a true P&S pocket camera and fairly decent. It has a slew of presets and a few creative settings, but it doesn’t exactly have the greatest macro, and it doesn’t have the PSAM controls that I wanted. So I finally gave in and bought a Nikon Coolpix P7100. While it’s still technically a P&S camera, it sure as heck isn’t a pocket camera. Jewelry photography isn’t the only photography that I like to dabble in, so having this “pseudo DSLR” is ideal for me. The P7100 has great image quality – a huge improvement over my other coolpix camera. If you’re into photography and can afford a PSAM camera, I would suggest getting one – it helps when shooting macro. Otherwise you can stick with a P&S pocket cam. Tripods – Yes, multiple tripods. You can probably get by with just one, but I like having both the tall, stand alone type (50″), and the tiny table top type (4″). I also fancy my dad’s gorilla tripod, which can wrap around things like rails to take pictures at fun angles… In case you didn’t know, having a tripod dramatically reduces the shake you experience when you take a picture without a tripod. Less shake = higher quality, sharper images. Backdrop – A bed sheet, some card stock / poster board, or a blank white wall… each will do nicely as a backdrop for photos. I decided to go with the poster board method: I bought 2 sheets of black poster board and 2 sheets of white poster board. One sheet serves as the horizontal surface, and I tape / hang up the second sheet to be the vertical background. This gives the photograph a nice, clean background. Fire Mountain Gems, but you can also find them on the cheap at stores like Michaels. This past Sunday Michaels had one of those coupons for “25% entire purchase,” so I finally was able to buy a few displays. 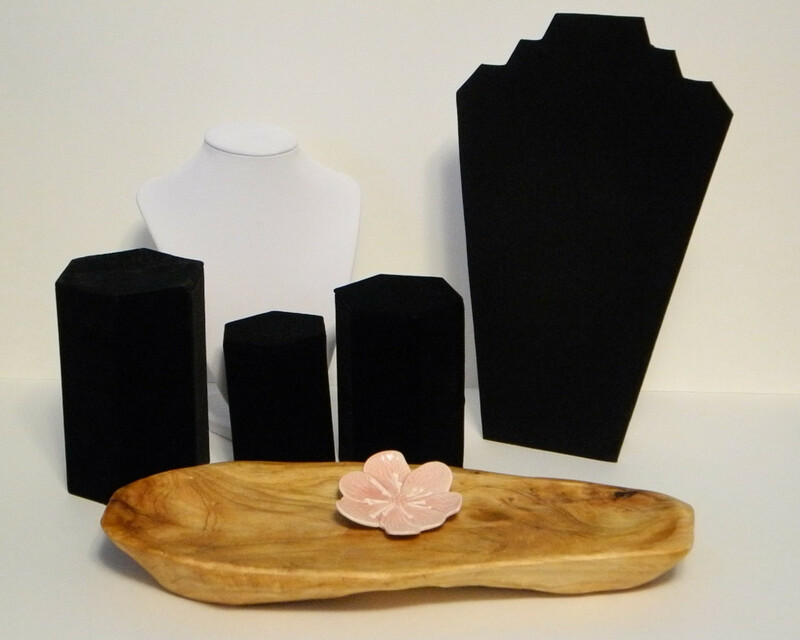 I bought a black flat necklace board, a white necklace form, and a set of 3 black pillars. I already also have a 3-tier bracelet display and 2 earring displays, but I use those more for storage of finished jewelry than as displays. Trays / texture pieces – Trays can be useful in displaying the jewelry. I recently bought a wooden centerpiece dish from target for about $20. I love the way wood looks with a lot of my jewelry. I kinda wish my new wooden tray was a bit darker and a bit smaller, but its pretty nice as is. I also bought a pink ceramic flower dish. One thing about these photography accessories that I’d like to mention is that I prefer finding things to use that I have other uses for as well. For example, the wooden centerpiece. I fully intend to use that as a centerpiece tray when I’m not using it in photography. 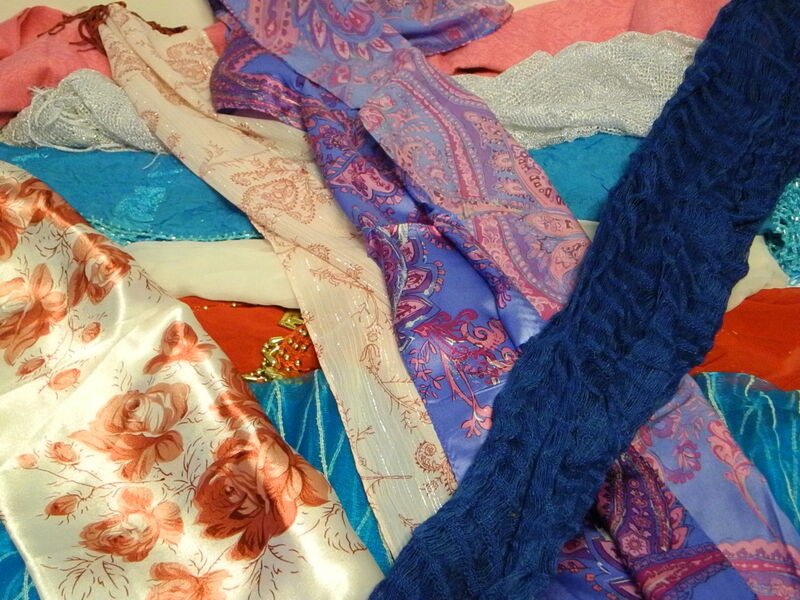 The same goes for the flower dish (I’ll use it as a ring dish on my dresser), and the scarves. I live in a small, cluttered room already, so I can’t be adding too much more stuff to my collection! A few other props I’ve seen used that I don’t currently have / use are: glass stones (like they put in the bottoms of vases), stones / rocks, nature, and fake flowers. Of course, if you have the space for all that stuff, then you’re lucky. The larger variety of items you have to use, the better chances are that you’ll be able to set up a photograph that matches the feel of that particular piece of jewelry. I’m hoping that tomorrow I will have some time to go out in the backyard in the morning and make good use of the indirect sunlight. 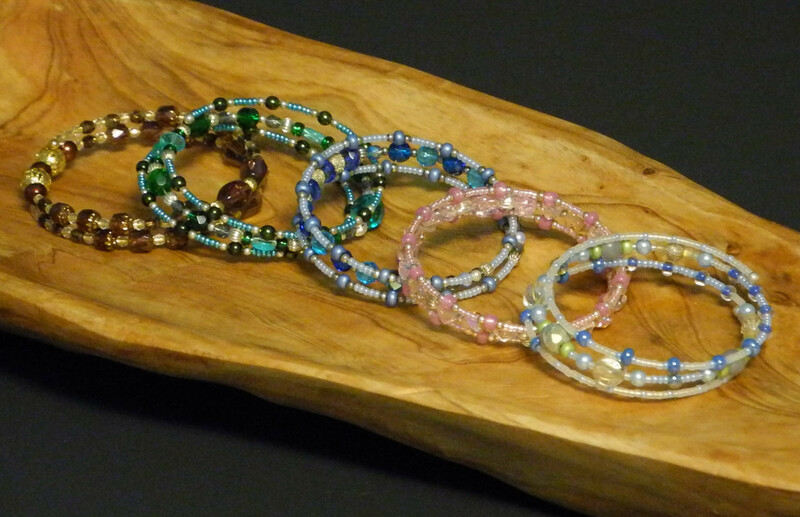 Trying to take photos indoors with flash or with light-bulb light tends to cause a lot of glare with glass beads. Excellent post, I’ve found all of your points to be true over the years.